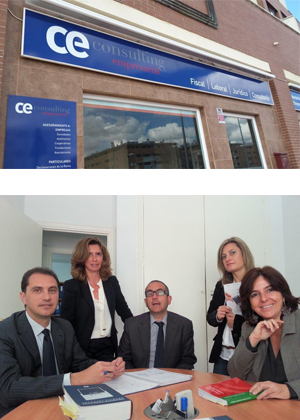 Ours offices in Sevilla Nervión and Mairena del Aljarafe they are formed by a team of professionals, tax advisors, labor consultants, financial advisors, who base their work on a model of commitment and service vocation applicable to all legal, economic and management areas. We are your adviser’s in Sevilla Nervión and Mairena del Aljarafe! From ours offices CE Consulting Empresarial Sevilla Nervión and Mairena del Aljarafe we offer a specialized and comprehensive advice, in all areas of advice, legal advice, tax advice, accounting advice and employment advice, both for large companies and for SMEs and self-employed, always with the focus on client service, with the greatest possible rigor and the follow-up of our customer service area.